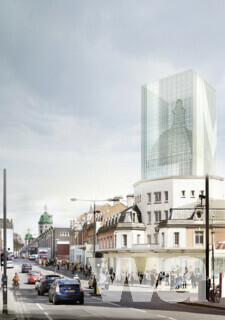 Der Umzug des Museums von London nach West Smithfield erneuert ein national bedeutendes Wahrzeichen an seinem Standort, welches seit fast zwei Jahrtausenden Symbolkraft hat und seit fast 700 Jahren als Markt besteht. Mit dem heutigen Museum an der London Wall, welches jetzt an seiner Kapazitätsgrenze stößt, ermöglicht der neue Standort von West Smithfield (ca. 25.000 m2) dem Museum, mehr von seiner Sammlung zu zeigen – erstaunliche sechs Millionen Artefakte. Das Projekt konzentriert sich auf ein Ensemble viktorianischer Gebäude, darunter der Smithfield General Market, der Fish Market, das Red House und das Engine House, die alle seit über einem Jahrzehnt nicht genutzt wurden. Ziel des Wettbewerbs ist es, einen Entwurf zu konzipieren, der die Möglichkeiten für einen flexiblen, zeitgenössischen Raum optimiert, aber sich gleichzeitig des kulturhistorischen Wertes und des Kontextes mit dem ehemaligen Markt bewusst ist. 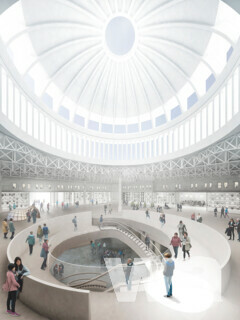 The Museum of London and Malcolm Reading Consultants today [February 11, 2016] launched an international search for an outstanding architect or team of architects to create a new building for the museum at West Smithfield in the City of London. 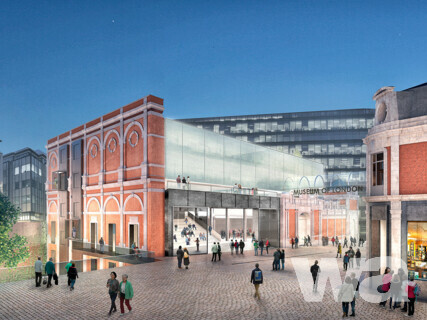 The project at the heart of the two-stage design competition has a pound 130-150 m construction budget, and is focused on regenerating a nationally-significant landmark and creating new contemporary galleries within a group of historic buildings on the West Smithfield site. The Museum of London is one of the top ten museums and galleries in the UK capital and responsible for the world’s largest archaeological archive, which currently holds six million artefacts. No design is sought at the first stage. At the second stage a panel will select at least five shortlisted designers, who will be briefed and asked to produce design concepts which reuse a number of fine Victorian buildings on the circa 25,000 sqm site. These include the now disused General Market and the Fish Market, and the triangular Red House. Director of the Museum of London, Sharon Ament, said: London is brilliantly creative and brilliantly connected to the rest of the world. 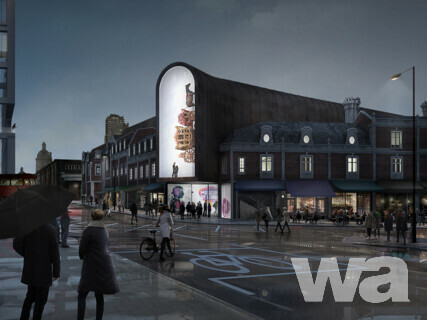 I cannot wait to see schemes for West Smithfield from designers working in all four corners of the globe. The challenge of sympathetically reinventing a series of fascinating and wonderful buildings and reimagining them as a museum is big, a bit scary and terribly exciting, much like London itself. Malcolm Reading, architect and competition organiser, said: We’ve been conscious of the need to level the field for competitors by keeping the turnover threshold low relative to the scale of the project. Designers who can’t meet this level are encouraged to collaborate with others. The museum’s international brand and the draw of working in one of the world’s most creative cities are just two of many fascinating aspects of the project. We’re seeking to attract a diverse pool of international talent. Funded by the Mayor of London through a pound 200,000 grant, the competition is being run in accordance with European Union procurement guidelines under the Restricted Procedure. Competitors will need to upload their responses through the Delta procurement portal via the web address above. The shortlist for the second stage is expected to be announced in the spring and, following a public exhibition of the shortlisted entries, the winning team is expected to be announced in summer 2016. The museum’s aim is to achieve planning permission, raise the necessary capital funds and deliver the new museum in 2021.